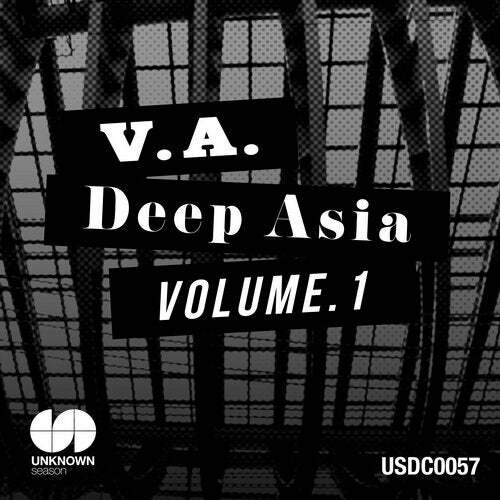 Welcome to Deep Asia Vol.1, which is the first of a new collaboration series of V.A releases from two of Asia's most prolific underground record labels, UNKNOWN season from Tokyo and Asia Music from Manila. Together they have called on their artists to contribute to this V.A. release which is aimed at showcasing the very best of deep underground House and Techno from around Asia. Up first and opening this release we have Masalatek aka Takashima with his track Coral Lagoon. Having seen the dance music world as a VJ for various clubs and festivals in and around his native Japan he decided to move into the studio where he melts all his experiences into one cooking pot to produce some fine deep house. This first cut is an almost glitch like, downtempo number with heavy bass kicks underlining some serious piercing synths with atmospheric pads all leading you to an experience best served with your eyes closed to trip on. Track 2 is See The Down from T.B. of Fukuoka, Japan where he leads the local scene having organised the long running Otonoha series of events which is now in its 14th year. A House music maestro who also dabbles in the world ambient and chill out. His cross style is evident in this track which is a slow burner that combines classic ambient elements with a 44 beat and tribal like percussion. Up next we have Cherry aka Teruyuki Kurihara from Chiba in Japan with his track SH101808. Having toured his live set from Australia to Germany with many stops in between as well as being signed with labels such as Four Twenty in Bristol, you can also find his artwork and drawings appearing on labels such as Holic Trax. His musical style can be described pretty much the same as his artwork, Marvellous and elaborate lines in minimal design. This 3rd track on the release is very clean and simple with ear catching arpeggiated synths all working together to pull you into that constant groove in the background. Ryan Pamatmat is the man behind track 4, Dada. Ryan hails from Manila but is now London based. This fine producer brings forward his after hours, dark room style of deepness. Double layered basslines and perfect synth stabs all brought together with an array of percussions as well as some perfectly placed vocal samples that will make you want to get down on the dance floor. Track 5, Free Flow is bought to you by Kaua from Japan, a DJ since the late 90's and a producer since 2012. This track is a groovy, feel good, deep house cut with a progressive bass line twist combined with a simple vox sample and layered pads with those ever-present deep stabs that keep it in the deep House arena. Shiva from Manila brings some classic deep House for track 6. With a bass guitar funky bassline and that arpeggiated synth that brings you right back to the early 90's. A simple shaker and clap is the icing on the cake with this number. Straighten Out Smooth is the title of the track and thats just what it does. Track 7 is from two of Malaysia's underground gems. A remix of DJ Hitech's track, Fearless, a release for Ray Soo's Love International label remixed by the main man Ray himself. A groovy disco-esque dub track with fine piano keys and awesome use of a didgeridoo and trippy vocals. This track builds and builds whilst keeping a control on quality throughout. On to track 8, Burgled, which is brought to you by Pav Parrotte the head honcho of Asia Music. Originally from the UK but has been based in Manila for 10 years. Burgled is a deep tech house track with a twisted vocal running throughout. A catchy bassline underlines this track with an electronic string running over the top both of which perfectly hold all the other element in place. Last but not least, we couldn't let this release go without a track from a mainstay of both UNKOWN season and Asia Music, Shiro of Japan pitches in with this deep, dark, dubby cut. A bass heavy track with very clean and simple minimal'ish layers. Natural balance is the title and the tracks just screams that it is naturally balanced.